Your self storage unit contract expires soon and you’re ready to part ways permanently with the facility, opting to pare down and save some serious money. While you’ve enjoyed the convenience of storing your stuff to free up precious space in your house, it’s time to purge, make some room, and bring your possessions back into your own home. This way, you won’t have to go back and forth if you need something and you’ll create a little more disposable income. If your contract isn’t expiring and you just need out, you might consider breaking the self storage contract lease. That’s not a good idea because it creates a slew of new problems you’ll be smart to outright avoid. But, if the lease is nearing its end, you’ll probably have a renewal period in the contract. This clause generally gives renters some incentive to stay but if the stuff you’re storing isn’t worth the extra cost, you should carefully review the lease contract. Make a note of what’s inside. Depending on how often you go to the storage facility, you may or may not know what’s inside. For the majority of self storage renters, they have at least some idea of what’s in the unit, but not all do. Go through that stuff to note what’s inside. This way, you’ll know what you’ll keep and what you’ll part with for good. Organize items into three categories. Once you know what’s inside, you can separate that stuff into three piles: things you’ll bring back to your house or move with you, and stuff to sell, donate, or give away, and junk to toss out. Sell or give away what you don’t want. If you still have a bit too much to keep, you should bite the bullet and make up your mind to do a serious purge. Sell things online, at a yard sale, or both. And give way or throw out what’s left over. 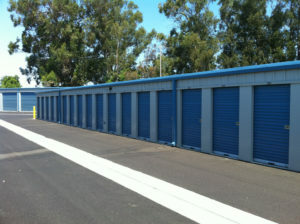 Do a self storage unit clean up to finish. The most important part of stepping away from a self storage unit lease that’s expiring is leaving the unit empty and clean. While it doesn’t have to be white glove clean, it should be left empty and nicely swept out. If you need a self storage unit cleanout done quickly, go ahead and phone 800-433-1094 or visit Junk Garbage Removal.